Susan E. Ghassoub passed away on March 11, 2019. She was 73 years old. Susan is survived by her daughters, Tania (Mike) Arras, Heidi (Kyle) Wenger, and Therese (Joe) Galea: grandchildren, Bradley and Ryan Arras: siblings, Mike (Jane) French, and Bobbie Heels: also many extended family and friends. Susan was preceded in death by her loving husband, Anthony “Tony” Ghassoub (March 2, 2018); and beloved nephew Jason Mckinlay. She will be remembered as a loving, caring and generous wife, mother, aunt and sister. 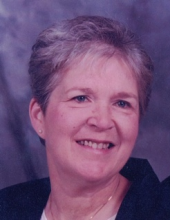 MiMi (Susan) was a devoted grandmother to Bradley and Ryan Arras who were “the wind beneath her wings”. She will be cherished by her family and will be missed terribly. She will live on forever in our hearts through the lifetime of wonderful memories of love and laughter. Memorial contributions can be made to The Livingston County Humane Society, and American Cancer Society. "Email Address" would like to share the life celebration of Susan E. Ghassoub. Click on the "link" to go to share a favorite memory or leave a condolence message for the family.